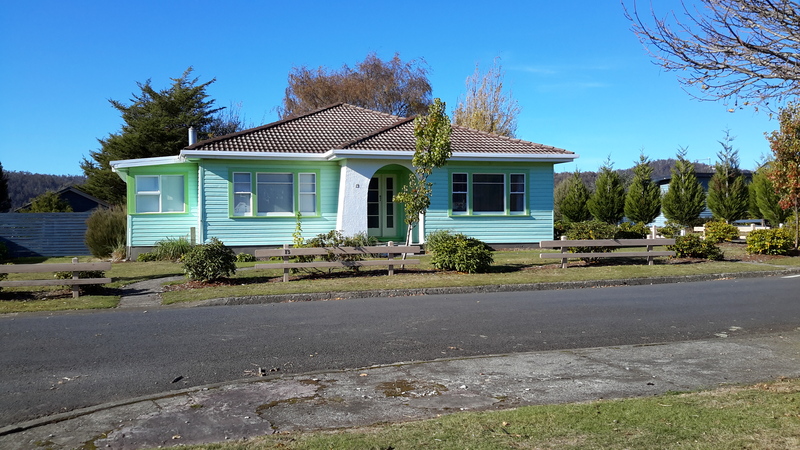 Earlier this year the entire town of Tarraleah was on the market for sale. Refer article 1, article 2 , and article 3. 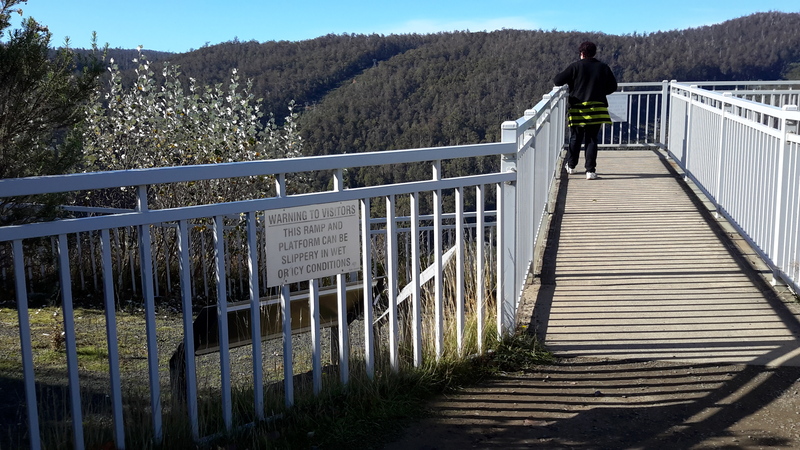 If you were to follow Derwent River water by walking from the western end of Lake Catagunya at the Wayatinah Power Station inland past the Wayatinah Lagoon to the Liapootah Power Station then follow the Nive River to the bridge next to the Tarraleah Power Station (with the Tungatinah Power Station on the other side of the bridge), you could look up the hill to see massive penstock pipes descending the hill from the township of Tarraleah above. 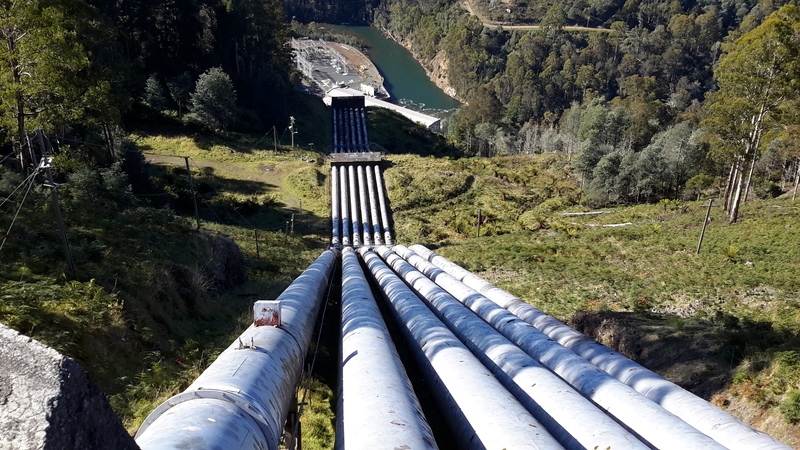 The water falling down these pipes is Derwent River water which has travelled via Tarraleah Canal 1 and Tarraleah Canal 2 after processing through Butlers Gorge Power Station at the foot of Clark Dam that holds back the waters of Lake King William. 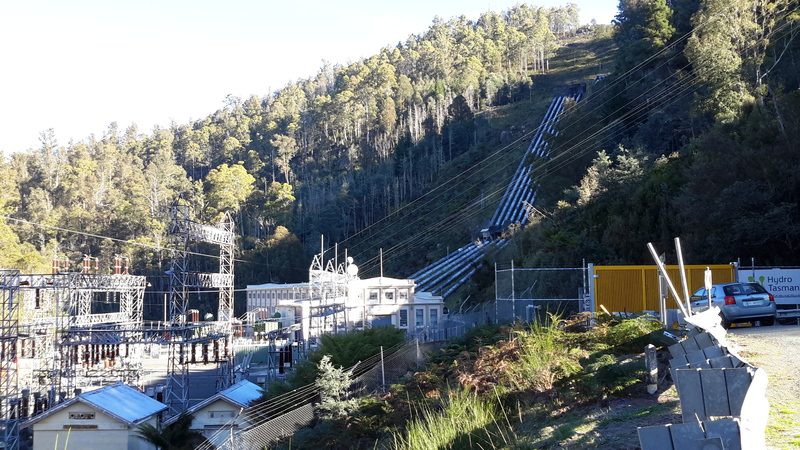 I chose not to walk the route via the penstocks and Tarraleah township when walking from the mouth to the source of the Derwent River, rather to follow the original river bed albeit a scatter of stones and limited water during the summer, between Wayatinah and Butlers Gorge Power Station. 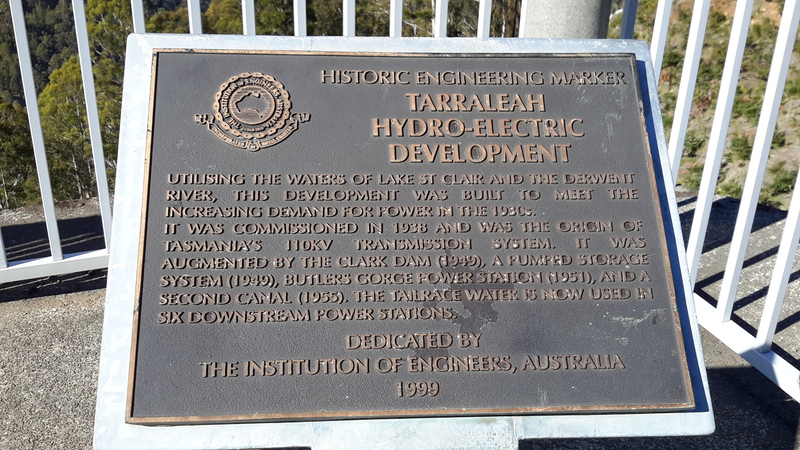 However, knowing that Derwent River water flowed along the Canals and through the massive pipes, I did visit the township of Tarraleah during the period when it was advertised for sale. 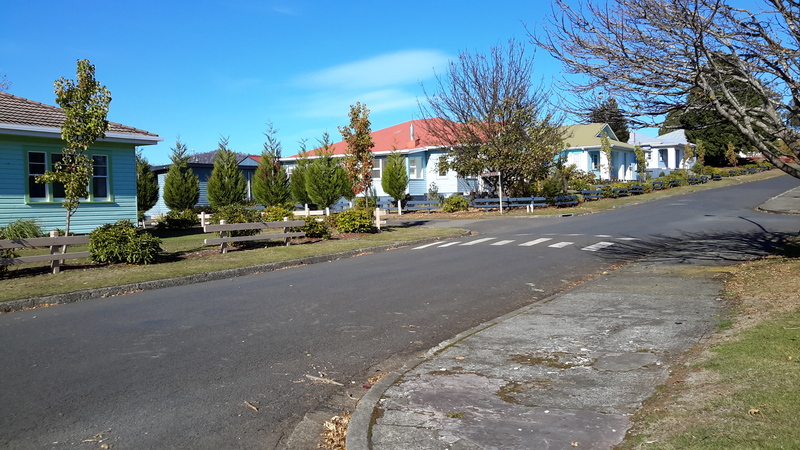 I was curious to see what the township of Tarraleah looked like (it had been many years since I last visited). 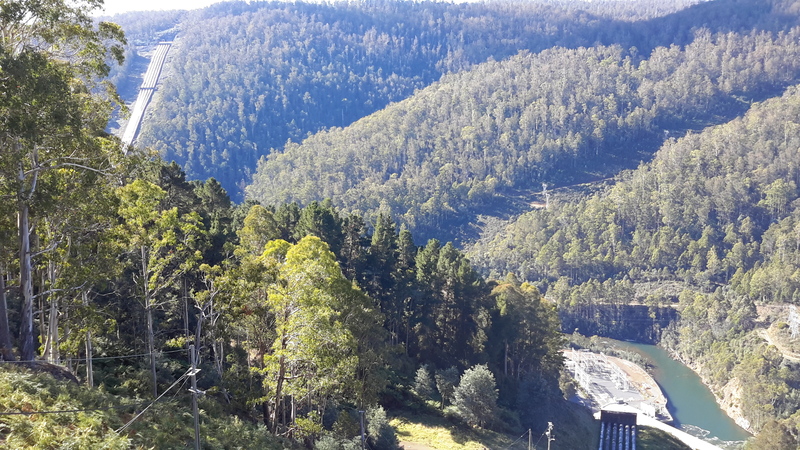 Despite being centred within lush dense rainforest, thankfully no rain fell at Tarraleah and the sky was blue and the day sunny when I visited. 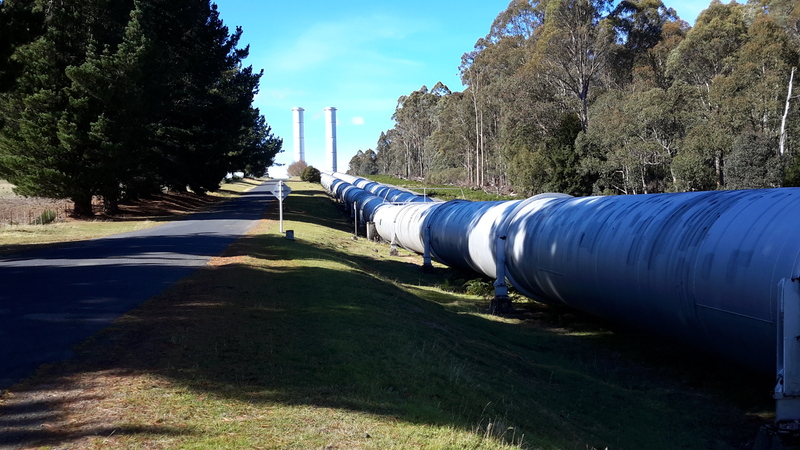 I approached the town from the highway and followed the slightly snaking pipes. 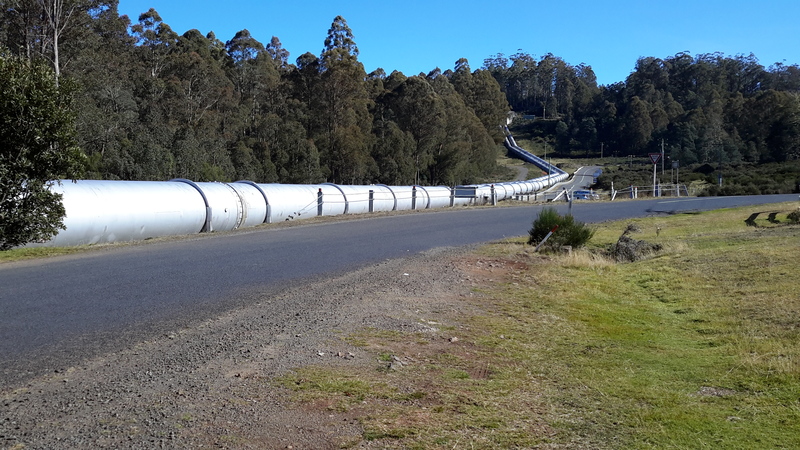 At the point where the pipes arrive at the top of the hill and are about to drop down the hill, I browsed public information boards and plaques. The views from the township were dramatic. 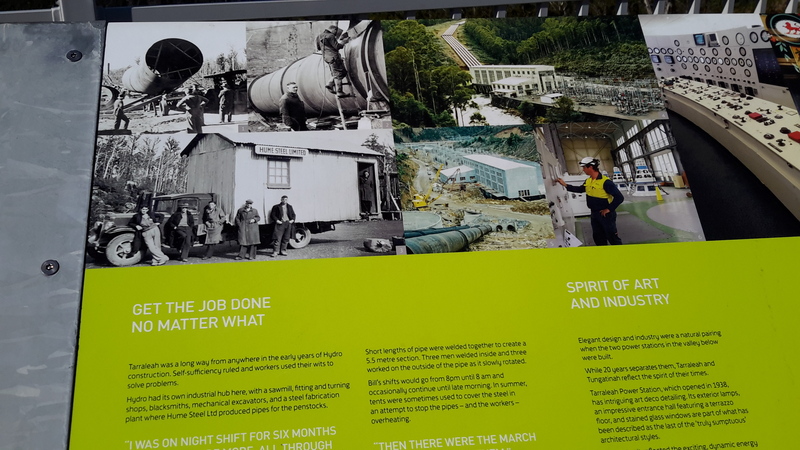 I am forever in awe at the engineering achievements of the past. 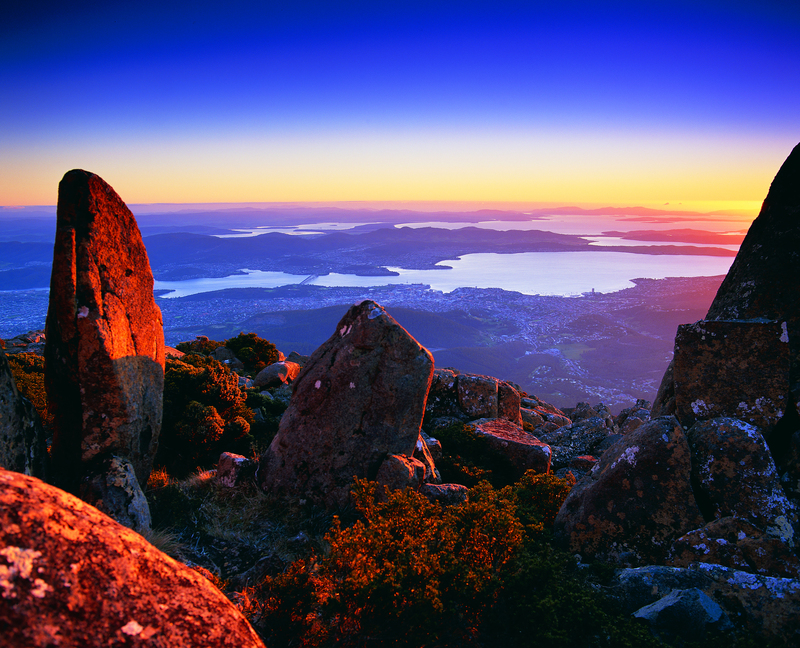 These days Tarraleah is a place that acknowledges its social history from the early days of Hydro Tasmania. 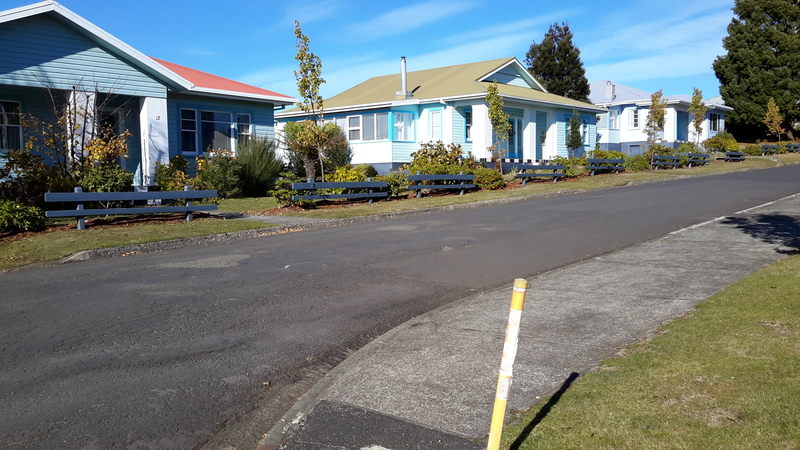 I was amazed to see the row of freshly renovated houses each with their own array of pastel coloured paint finishes. Perfect location for a science fiction movie. I felt there was something strange about its lollipop colours and perfection. 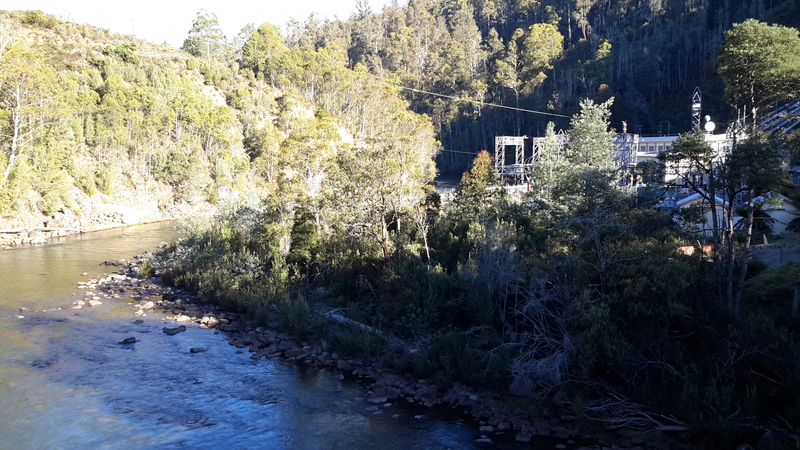 Afterwards I travelled out of Tarraleah and down to the bridge over the Nive River. 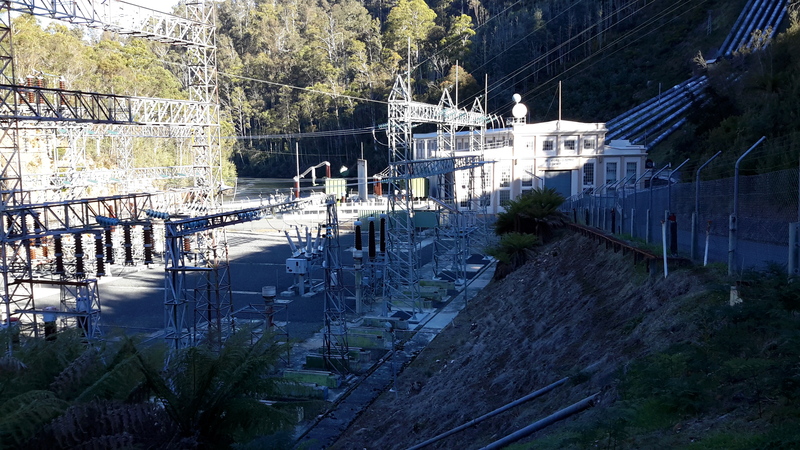 The Tarraleah Power Station was partly hidden in shadow from the afternoon sun. My eyes followed the pipes up the hill knowing the township was there on top. 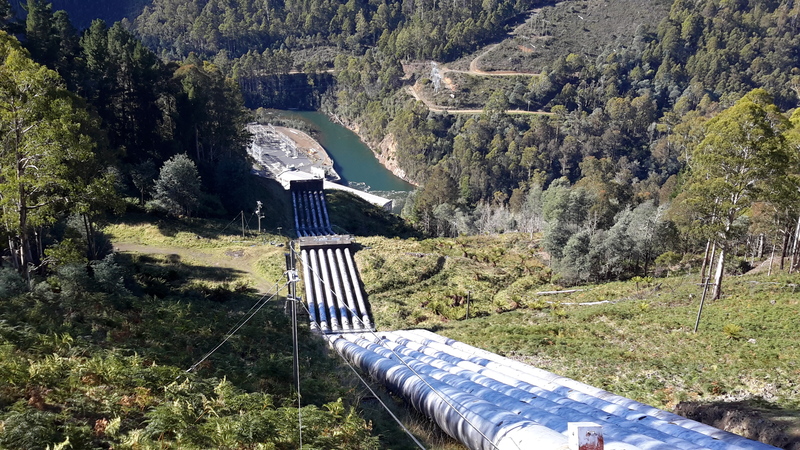 The Nive River accepts the Derwent River water after processing for electricity generation through the Tarraleah Power Station. 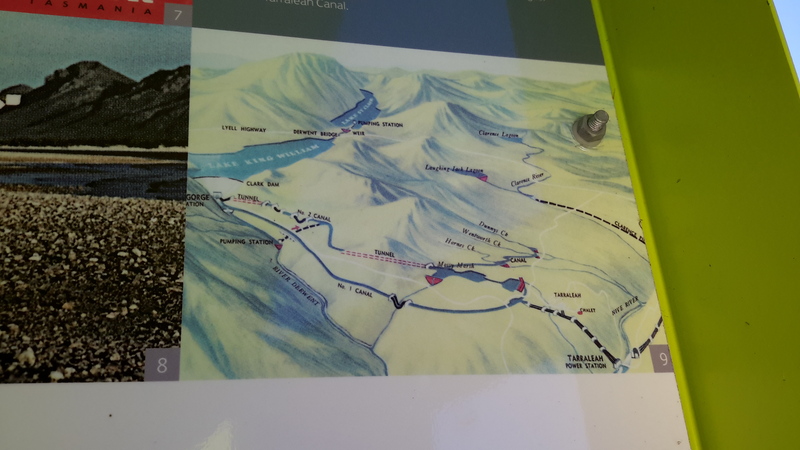 The water passes through a series of further management processes, and ultimately empties into Lake Catagunya and then continues its long journey towards the sea. 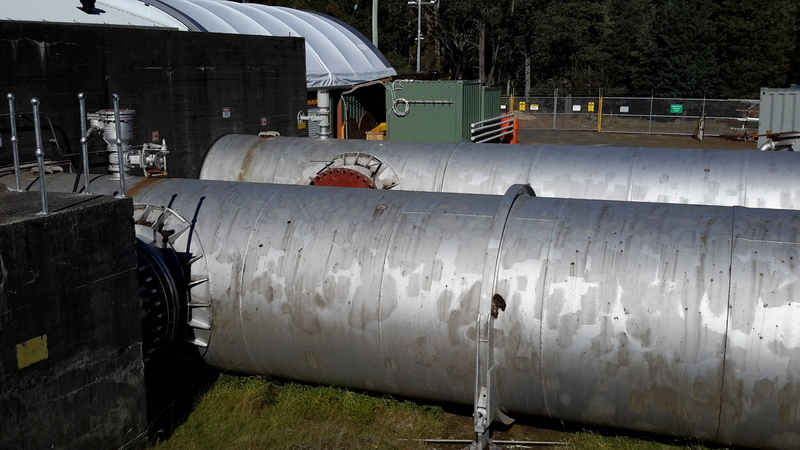 I have heard rumours the Tarraleah township sold but I cannot find records supporting this. 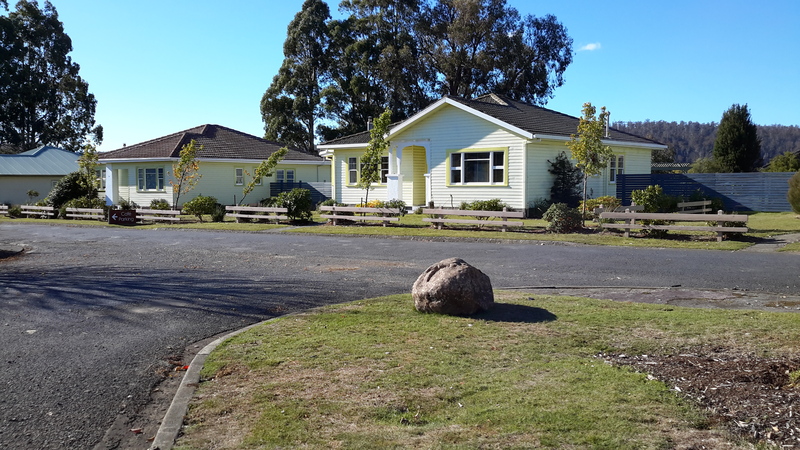 I haven’t one idea how a buyer could get a return on an investment of $11 million at Tarraleah, so I will be very interested to hear what will happen to this piece of Tasmania’s history. 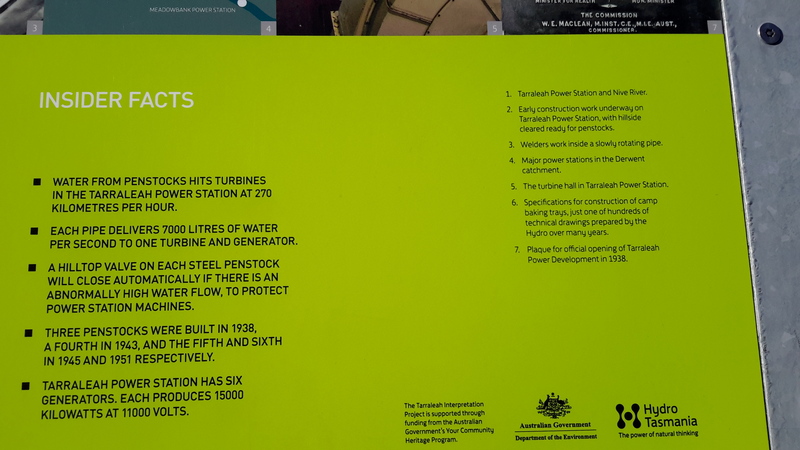 This entry was posted in Derwent River, Tasmania and tagged Butlers Gorge Power Station, Clark Dam, Derwent River, Hydro Tasmania, Lake Catagunya, Lake King William, Liapootah Power Station, Nive River, Tarraleah, Tarraleah Canal, Tarraleah Power Station, Tungatinah Power Station, Wayatinah Lagoon, Wayatinah Power Station on December 24, 2016 by Tasmanian traveller.